In the Gospel, the evangelist John tells how John the Baptist was with a couple of his disciples and suddenly he sees Jesus coming. He says to them: "Look, there is the Lamb of God." His two disciples immediately began to follow after Jesus who soon noticed that he was being followed. Jesus turns around and asks them "What are you looking for?" He didn't ask 'Who" but "what" are you looking for. (Oftentimes in our lives we think it's a what, a something, when indeed we're looking for the only one who can satisfy our longings as St Augustine reminds us. Jesus might ask us this same question from time to time. He may say to us "You have substituted a What for me: the what of your own will, your own plans, your own designs. That's when I ask you What are you looking for?" The truth is, we can lose our focus. Without realizing we can allow the eyes of our hearts to be searching for a What when only a who can truly satisfy us, one particular WHO. We can let our eyes drift away from Jesus. In response to their question "Where do you live, he said to them "Come and see. It's up to you to choose to search for yourself," Jesus tells them. We must take the initiative with our Lord Jesus. The Benedictines tell us we must "Seek God." And of course throughout the days of our lives, we must continue to take the initiative. Scripture says: "If you seek me with all your heart, I will let you find me." There are days when we simply feel drawn into the loving heart of our Master. On such days we can hardly wait to return to our prayers. We're drawn like to a magnet. And then there are days when we must "decide" to follow Jesus, as the hymn says, when we don't FEEL like living our vocation all that keenly, or we don't FEEL like praying. We must make the decision, over and above what we may be feeling. On a special day like this feast of St Gabriel Possenti, we might well think back over the years and recall that particular moment when we heard our Lord saying to us "Come and see." Perhaps we don't even recall hearing him say "What are you looking for?" But deep inside of each one of us there was a search going on. We might have hesitated at first sharing this yearning deep inside of us, but we heard the Lord continue to invite us and in time we did share this dream. We shared this tugging-at-our-heart aspiration. And so we find ourselves here this morning celebrating this feast of St Gabriel of Our Lady of Sorrows. Staying with St John for a moment - this time from his First Letter - we read that John calls his readers "Little Ones," ant then again "Children." Do you find that interesting, as I do? The truth is that we are all "Little Ones. . . children" in the eyes of our God, in the eyes of our Lord. No matter what our chronological age may be - we are all still like little children, in terms of whence we have come, and the possibilities of future growth that God opens up for us. In his letter, St John says these two disciples stayed till about four o'clock in the afternoon. We don't know their names but St John notes that they stayed till four in the afternoon. They left him for a while, and we surmise that they returned to become his disciples, probably leaving the side of John the Baptist and becoming disciples of Jesus. It reminds me of one who might be seeking admission into this community. They come for a visit, but then they are encouraged to return to their homes or previous environment to give them another opportunity to assess their lives and see if they still want to join the community. There's such wisdom in this practice! It's almost as if Jesus suggested the policy himself. "I recommend to you a strong, constant devotion to Mary, our most holy and sorrowful virgin. Think often of her and sympathize with her in her sufferings. Then, this loving mother, who is never outdone in kindness, will in turn comfort you....Pour out your heart to her. Speak to her of your trials and your needs... she will never forget you..."
"If Mary is for me, who can be against me? Not God,... not Christ,... not sins,...not hell, not men.... If we have Mary with us, we have everything; if she is not with us, we lack everything. If Mary protects us, we shall be saved; if she should abandon us, we would perish." When our deceased Holy Father, John Paul II, chose as his Motto, on his coat of arms, the words TOTUS TUUS, some in the Church raised their ecclesiastical eyebrows. But John Paul's utter devotion and complete dependence on Mary spoke volumes in the course of his long papacy. He never hesitated to share his love for Mary, and his trust in hers, that she would , together with her Son, guide and protect and comfort him in his role as Chief Shepherd of the Church. "How much more soundly we would sleep, how much more cheerful we would be, in fact, how much more like heaven our life would be, if we left ourselves totally in her hands and said to her 'Into your hands, O Lady, I place my cause." Little was known of Gabriel's extraordinary spiritual gifts during his life. 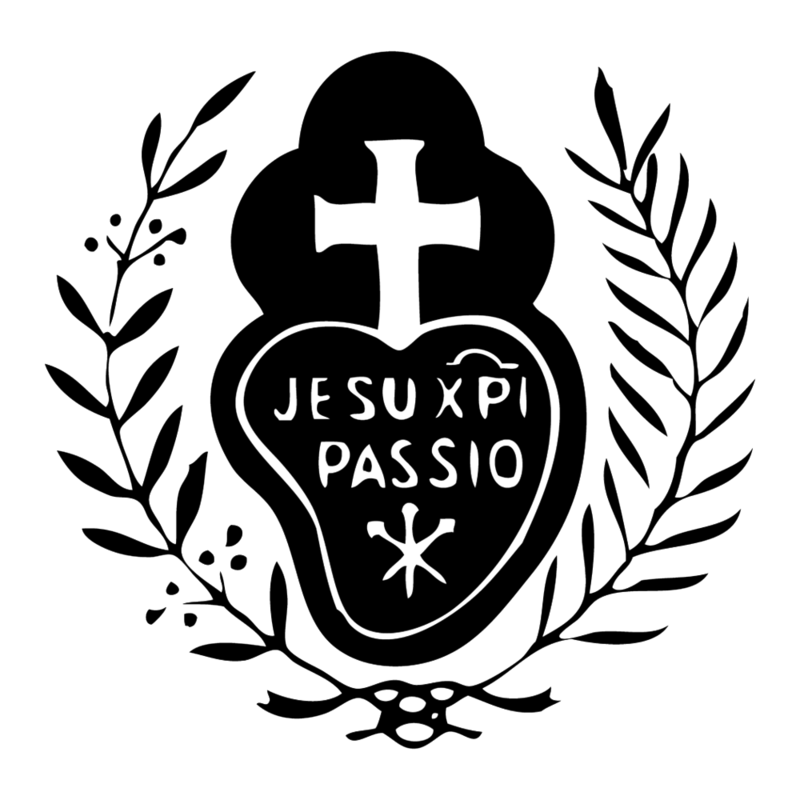 He was not singular, he conformed himself to the community life; he was only a fervent and exemplary Passionist novice and student hidden from the world in the cloister. After death, at age 24, this young religious in a few years was declared venerable by the Church, thereby testifying that he had practised all the virtues in a heroic degree; and he was beatified and raised to the honors of the altar. Both Pope Leo XIII and Pope Pius X expressly wished that Gabriel be regarded as the chief patron of youth, and especially as the patron of young religious, both novices and professed. We can ask St Gabriel to bring more vocations to the sisterhood, brotherhood and priesthood, and especially to this Passionist Community.